Hello Tatertots and Jello readers! 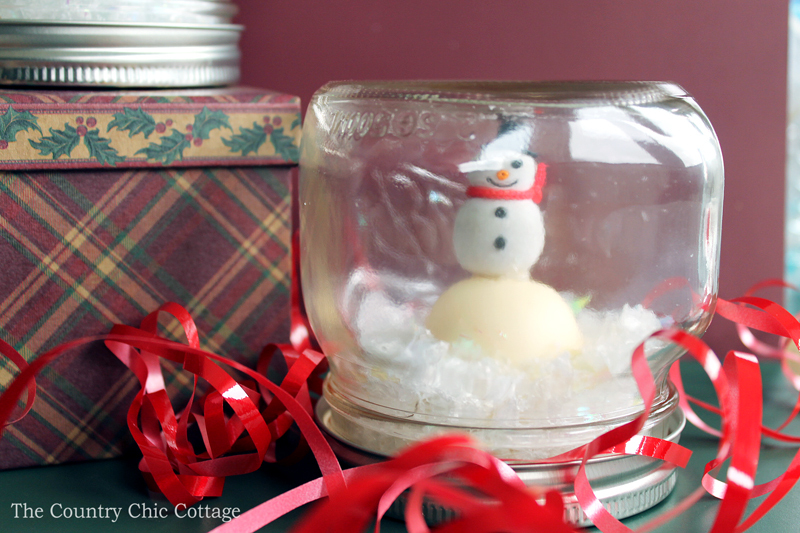 My name is Angie with The Country Chic Cottage and I am here with a fun EOS lip balm snow globe that will make a great gift this holiday season. 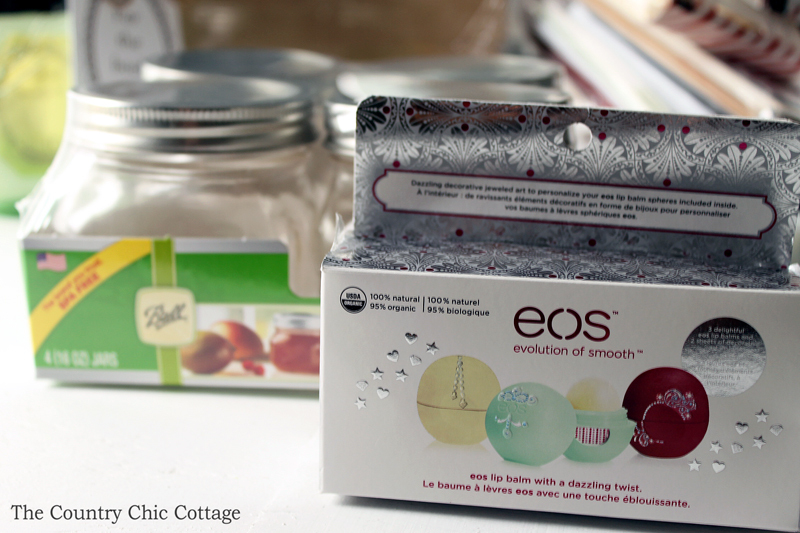 This is a really unique way to gift an EOS lip balm to anyone on your Christmas list. Plus you will only need a few supplies to make this great gift in a jar. I am in love with mason jar gifts and love coming up with new ways to use the classic container. 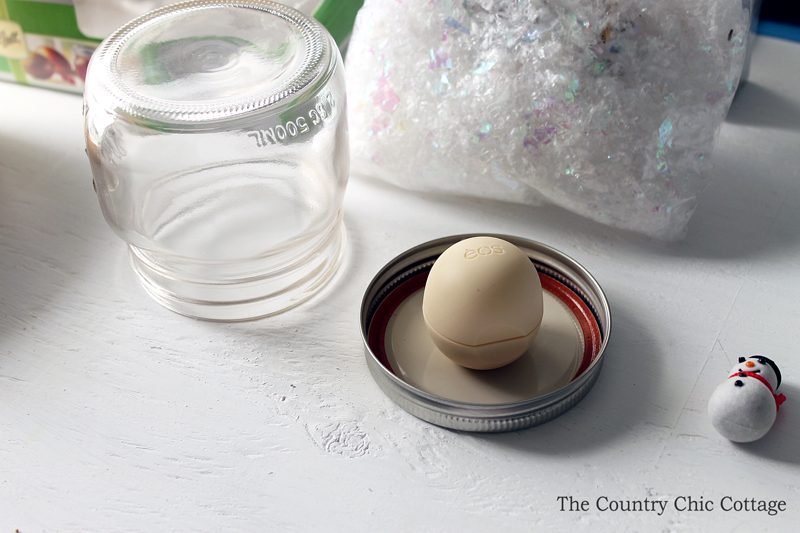 Start by using a dot of hot glue to stick the lip balm to the upside down mason jar lid. The lip balm can be removed by the recipient and the hot glue chipped off. I then added a miniature to the top of the lip balm again with hot glue. 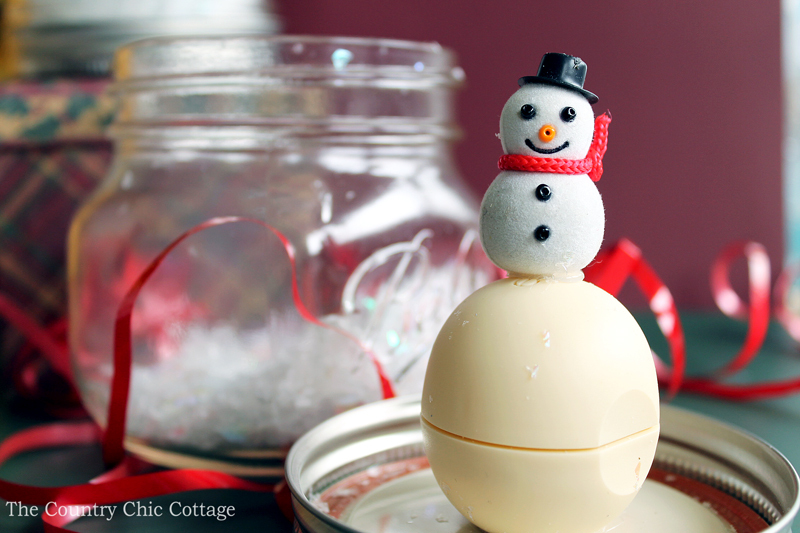 On this version I used a snowman on top of the white EOS lip balm. Again I used hot glue to put everything together. 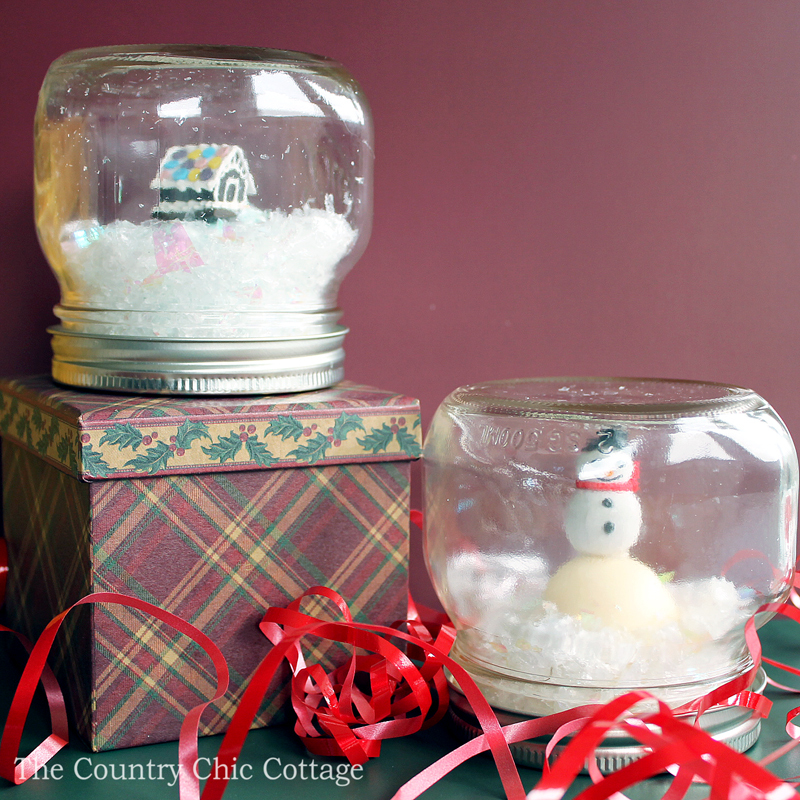 Add a bit of the snow to the mason jar while it is right side up (above) then add the lid to the top and screw on. This gift is ready for giving! The other version we made in this case was a miniature gingerbread house on top of the aqua lip balm. 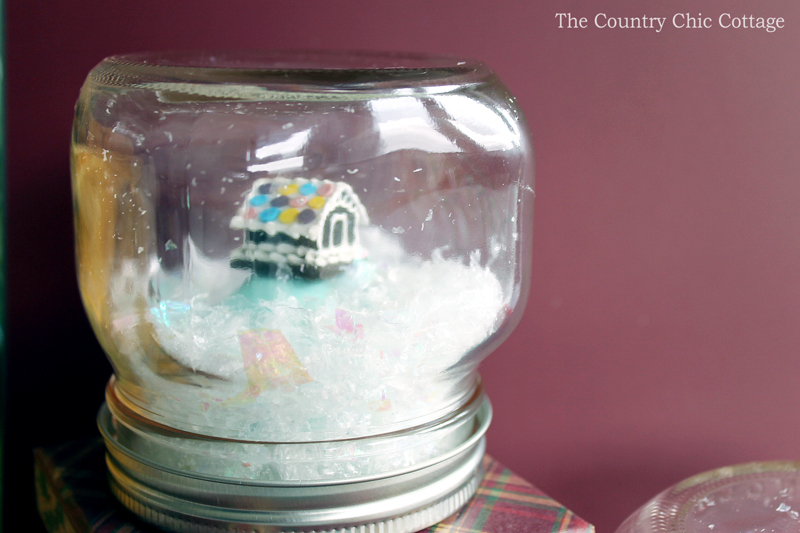 Just use the same method to assemble any miniature and lip balm combinations inside of your snow globe. 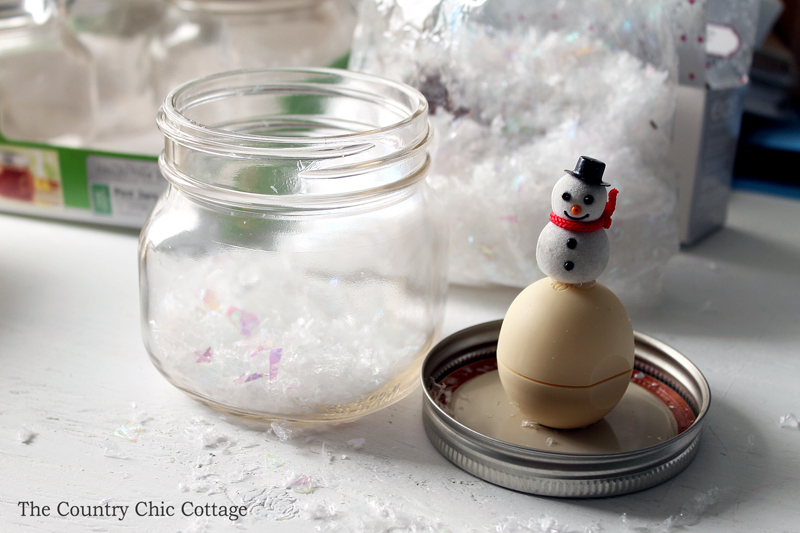 Your recipient can enjoy the snow globe for a while, then screw off the lid and take apart the gift to start using the EOS lip balm. These fun gifts can be made in just a few minutes and make great Christmas gifts. Grab your jars and get started on your own today. A huge thanks to Jen for having me today and I hope y’all enjoyed this EOS lip balm snow globe! Come on over to The Country Chic Cottage anytime! She has the perfect gift idea for the book lover in your life! And this Keep Warm Gift in a Jar would be perfect for just about anyone! 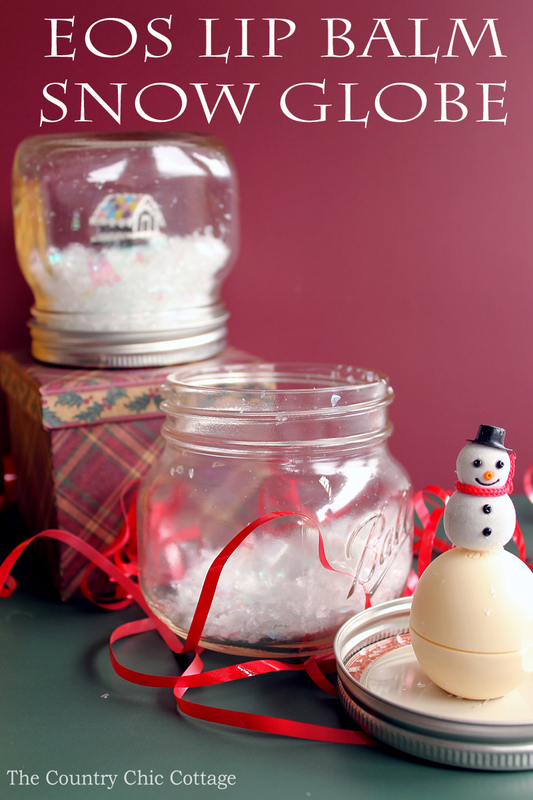 And this Santa Gift Jar would be perfect for neighbors, friends or teachers!